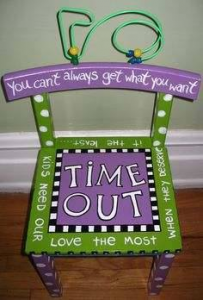 Who holds the record in your house – for being grounded, having their smart device confiscated or sitting in time out? Who in your family is the rebellious one? Growing up, the trophy in this particular category belonged to me. I constantly found myself on the wrong side of the house rules, and right in the middle of natural consequences. Such a bewildering statement – since I’m the one crying! Years later, while raising three children of my own, God revealed the truth in her words. I remember a particular rough patch where one of our children continually suffered harsh consequences as a result of their bad choices. My husband and I were both weary from never ending disciplinary tactics, harsh warnings, tough love, and so on. You haven’t lived until you share space with a “grounded” child who has no phone, video game, computer or extracurricular activity. Heaven help! Seriously… watching the impact of real penalties and punishment accumulate through rebellion and disobedience on the life of a child you love is heart breaking. We couldn’t seem to change the behavior, so we locked our focus on changing the rules. We all do this though, don’t we? Our immense love for our children, spouses, friend or neighbor tugs hard at the heart, pulling us off the firm foundation of God’s truth. Never wanting the sum of our bad choices to equal the truth of our consequences when controlling the behavior of loved ones is not an option. The only choice is to change the truth! Little by little we loosen the reigns. We began watering down the law and manipulate the truth to accommodate (and justify) poor choices. This is done in an effort to avoid painful consequences for those we love, and honestly to Just. Keep. The. Peace! The real truth is, there is no peace found in sin and rebellion. Our choices, good and bad, still hold consequences. Even when we can’t manage it, even when we try to manipulate it or even if we don’t acknowledge or believe it at all, the truth is still the truth. God loves us too much to give up – or give in. He loves us too much to bend the rules. Not much has changed since 637 B.C. It’s still a tough duty to live authentically, in the truth, with those you love. People today still ignore God, challenge His rules and then blame others for the consequences. It’s messy. It’s exasperating. It’s exhausting! Life is much more pleasant when we avoid all things awkward and confrontational (especially with our children). Often times, it’s easier to ignore, justify or even accept a watered down version of the truth, than to admit who we are in our sin. But, like Jerimiah, you too have the power to stand firm on God’s truth. “You have no obligation to do what your sinful nature urges you to do. For if you live by its dictates, you will die. But if through the power of the Spirit you put to death the deeds of your sinful nature, you will live. For all who are led by the Spirit of God are children of God” (Rom. 8:12-14). “‘For I am with you to take you out of trouble,’ says the Lord. Then the Lord put out His hand and touched my mouth, and said to me, ‘See, I have put My words in your mouth’” (Jer. 1:8-9). God has also put word(s) in the mouth of his children – truth spoken from the overflow of our heart. His purpose is for us to know it, believe it, share it and live in the freedom (and peace) of it. Speak it boldly over those you love! Yes, often times, the revealing light from the truth of God’s word, does hurt … but stand firm anyway! We can’t give up. We can’t wear out. We can’t compromise. And thank you Lord… for loving me until it hurt You more!